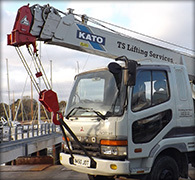 We offer a full engineering service, both fully mobile and at our base at Universal Marina on the Hamble River, which has full boatyard facilities. We are trained Marine engineers, and can perform all tasks from routine servicing, to plumbing, welding and fabrication, stern gear repairs, engine and generator rebuilds and repairs, and of course new engine installations. 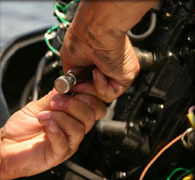 We are the UKs biggest supplier and installer of Beta Marine Engines and Generators. 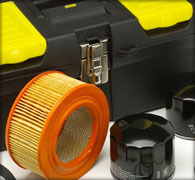 We have main dealer facilities which includes spare parts , warranty and service. The Beta Marine range of engines is the most popular, economic and trouble free choice for re powering Yachts and Motor sailors, we match the engine to suit your existing installation where possible, by altering the engine mounting brackets. This means minimal disruption to your vessel, less mess, less downtime, and lower installation costs. Please see our gallery for photos. We are pleased to announce that we have been appointed dealers for the Lofrans range of winches, which are known worldwide, along with Max power bow thrusters. We offer upon request Europe wide engine installations, we have re powered yachts in Greece, Portugal , Spain, France, and Italy. 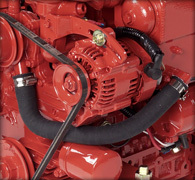 We are also dealers for Westerbeke and Universal Engines and Generators, offering spares, sales and service. We offer mail order on all our spares. We are pleased to announce that we have been appointed Dealers for Advanced Yacht Systems, who are well known in yachting circles for Pagero generators, battery charging systems, water makers and air conditioning. We are also dealers for Watermota Ltd, for the Doosan range of commercial engines. We are Centa Transmissions UK service agents and offer supply and installation of their products. We have traded as T S Marine for 20 years. We hope we can be of service to you and your vessel.